End of lease cleaning or move out cleaning Sydney is messy, tough, and very crucial, and it’s best to leave it in the hands of a professional. While you are trying to pack, organize bins, finalize your bills, and get your utilities connected, as well as keeping up with work and family, worrying about the end of your lease cleaning or move out cleaning seems another problem to worry about which we can take away from your head and treat your stuff as if it is our own. When it comes to the end of lease cleaning or move out cleaning no one can do it better than West Link Services. We have a range of affordable vacate cleaning Sydney packages available, so you can save time and money. Our staff will provide you friendly services with quality, efficiency, and accuracy. We have professional and dedicated cleaners who handle end of lease cleaning carefully on a routine basis. 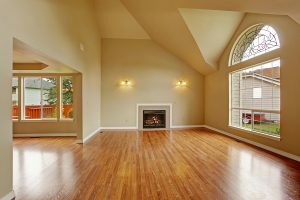 With our experienced cleaners, we can make sure that your home is cleaned to the highest standard of what your real estate agent or landlord is looking for cleaning purposes. You do not require buying any expensive equipment for the cleaning purposes which you are only going to use once in a lifetime. So give us a call and we will take it from there. What’s involved in our End of Lease Cleaning or Move out Cleaning Sydney Services? We also focus on stove-top cleaning, fixtures, fittings, lighting, and appliances. Our team of experts uses a stain and grease removal technology that will make the stove look brand new again. We get into the corners and do the dirty work so you don’t have to.